Working on behalf of the Peel Ports, Mackley has completed a project to provide enhanced access and to expand the ISPS zone for new Liverpool2 (L2) Deep Water Container Terminal Construction Project. Peel Ports, one of the UK’s largest port operators, owns and operates ports and terminals in locations across the UK including Liverpool, Manchester, Medway, Glasgow, Dublin and Great Yarmouth. 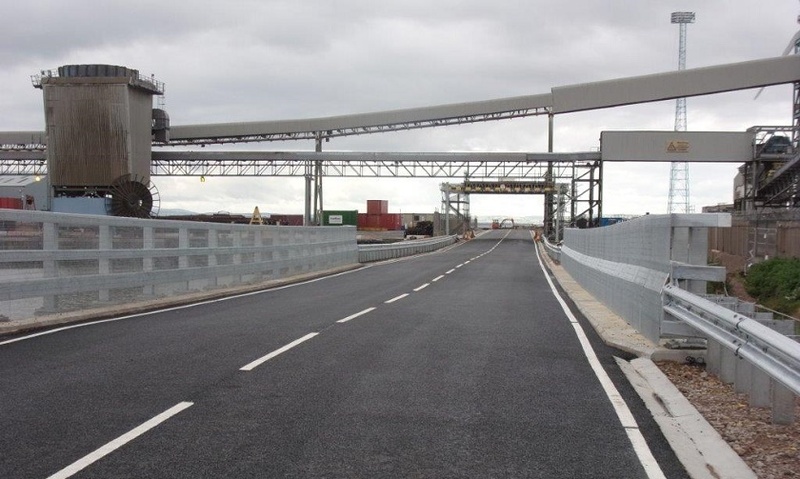 The scheme involved the creation of new 38m heavy-duty steel bridge, circa 600m of new road construction and the resurfacing of another 800m of existing road. 600m of new ISPS fencing has been installed, which required services diversions – and all with no disruption to the ongoing port operation and the main L2 construction works. 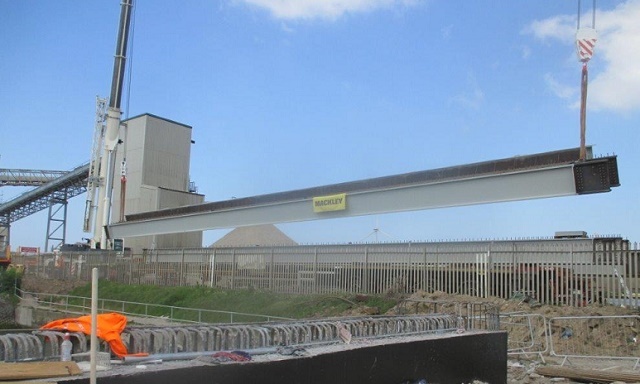 A significant project milestone was reached on Sunday 29 May when the bridge support beams, each weighing between 35 and 42 tonnes, were successfully lifted into position – ready to accept the new reinforced concrete bridge deck.